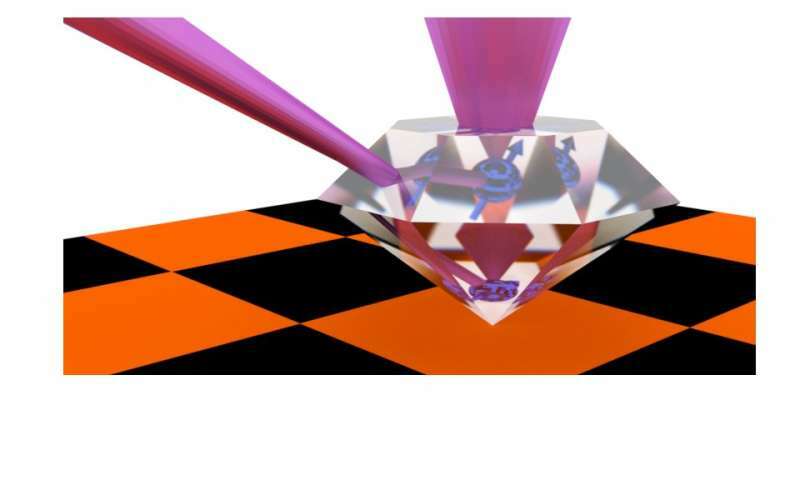 Princeton University researchers are using diamonds to help create a communication network that relies on a property of subatomic particles known as their quantum state. Researchers believe such quantum information networks would be extremely secure and could also allow new quantum computers to work together to complete problems that are currently unsolvable. But scientists currently designing these networks face several challenges, including how to preserve fragile quantum information over long distances. Now, researchers have arrived at a possible solution using synthetic diamonds. In standard communications networks, devices called repeaters briefly store and re-transmit signals to allow them to travel greater distances. Nathalie de Leon, an assistant professor of electrical engineering at Princeton University and the lead researcher, said the diamonds could serve as quantum repeaters for networks based on qubits. 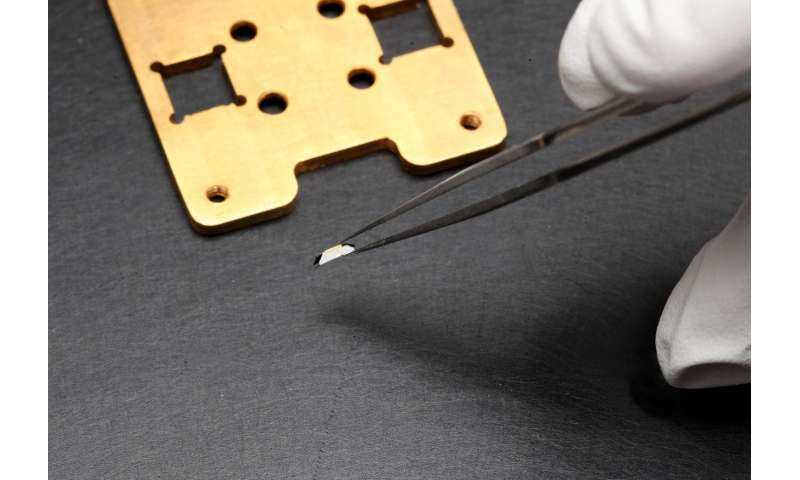 Instead, researchers have looked to solids such as crystals to provide the storage. In a crystal, such as a diamond, qubits could theoretically be transferred from photons to electrons, which are easier to store. 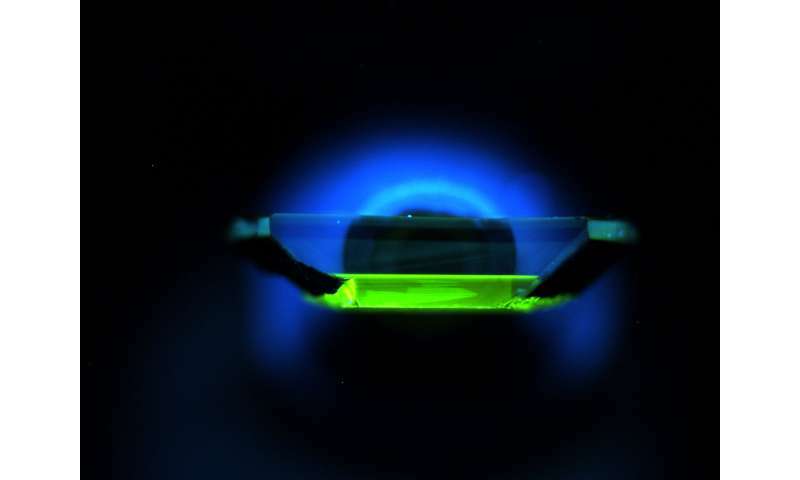 The key place to carry out such a transfer would be flaws within the diamond, locations where elements other than carbon are trapped in the diamond's carbon lattice. Jewelers have known for centuries that impurities in diamonds produce different colors. To de Leon's team, these color centers, as the impurities are called, represent an opportunity to manipulate light and create a quantum repeater. Previous researchers first tried using defects called nitrogen vacancies—where a nitrogen atom takes the place of one of the carbon atoms—but found that although these defects store information, they don't have the correct optical properties. Others then decided to look at silicon vacancies—the substitution of a carbon atom with a silicon atom. But silicon vacancies, while they could transfer the information to photons, lacked long coherence times. The Princeton team included Brendon Rose, a postdoctoral research associate, and graduate students Ding Huang and Zi-Huai Zhang, who are members of de Leon's laboratory. The de Leon team also included postdoctoral research associates Paul Stevenson, Sorawis Sangtawesin, and Srikanth Srinivasan, a former postdoctoral researcher now at IBM. Additional contributions came from staff researcher Alexei Tyryshkin and Professor of Electrical Engineering Stephen Lyon. The team collaborated with Lorne Loudin at the Gemological Institute of America and Matthew Markham, Andrew Edmonds and Daniel Twitchen at Element Six.